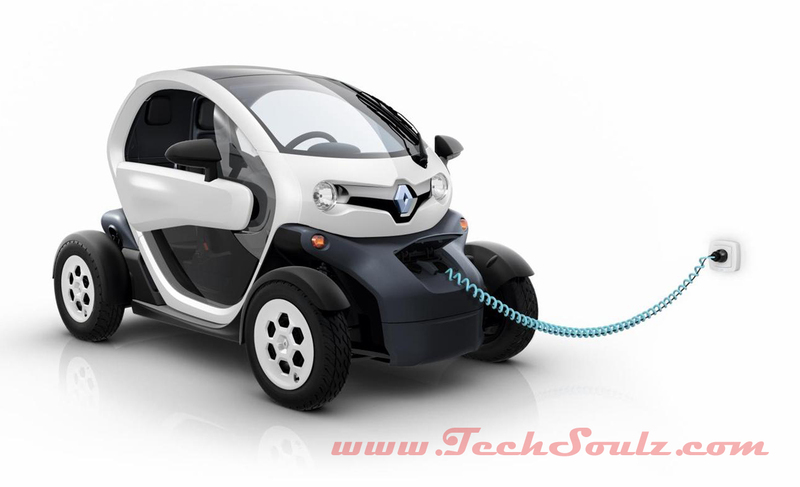 Renault introduces new ultra-mobile electric two-seater vehicle, The 'Twizy'. 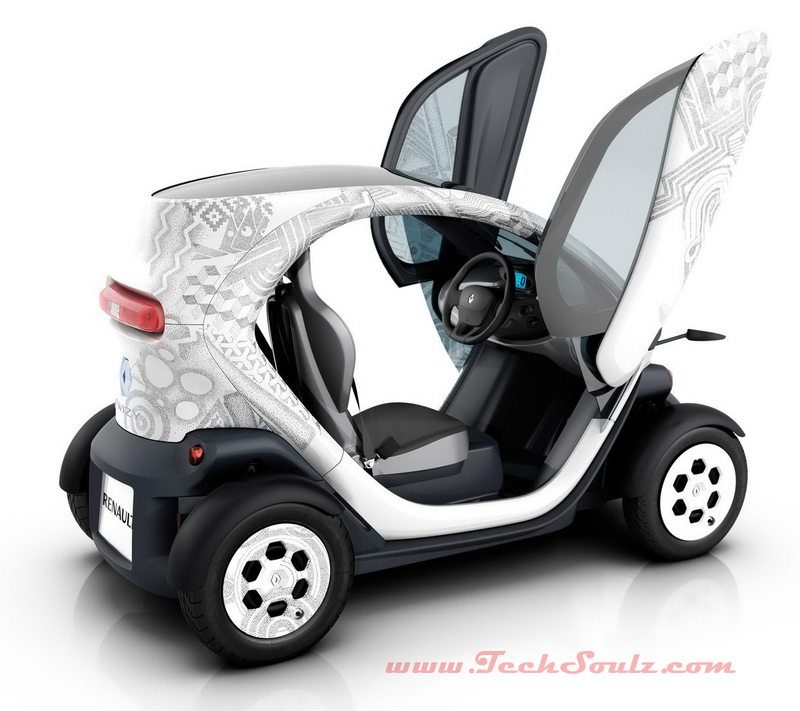 Twizy may be mistaken for a scooter at first sight, but when you look at it clearly, it actually possesses all the aspects of a car. 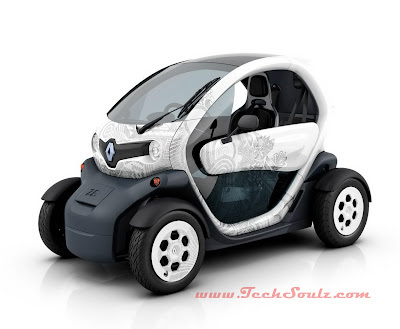 Twizy has a chassis with four wheels similar to others cars but in its own style, a steering wheel, pedals and an amazing enveloping body for two occupants sitting in tandem. The Twizy is mainly designed to attract busy, car-owning urbanites who are looking for a second vehicle, also for those younger drivers looking for a safe way to start driving. This ultra-compact quadricycle comes in two versions. The first with a 17hp electric motor delivering a maximum torque of 57Nm and a top speed of 80kph. The second version, is driven by a 5hp motor with a maximum torque of 33Nm and a top speed limit of 45kph. Both versions of this vehicle are equipped with a 6.1kWh lithium ion battery which has a heavy capacity and can cover up to 100km over a standard urban cycle and the most interesting point is that the Twizy can be fully recharged in just 3 hours and 30 minutes with the use of a domestic socket. customizability makes the Twizy even more attractive as customers will be able to choose from three various levels of trim and four beautiful colors which match up to their personality. On top of this, there are other customization options including gullwing doors, a glass roof and a wide array of accessories. The Renault Twizy is a compact vehicle that not only helps drivers save fuel in urban environments but is also fun to drive. It only takes 3 hours and 30 minutes to fully charge the Twizzy and it can be done using a domestic socket.